Jonkoping, Sweden : A novel tablet is helping heart failure patients to manage their disease including drug dosages, according to research presented today at EuroHeartCare 2017. 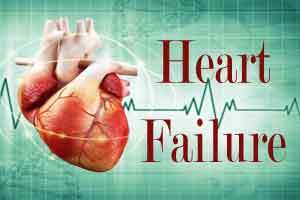 Heart failure is a serious condition in which the heart does not pump blood around the body as well as it should. Not enough blood gets to the body, causing fatigue. Blood backs up waiting to enter the heart, leading to fluid accumulation in the legs and abdomen and fluid in the lungs (congestion). Patients’ adherence to using OPTILOGG was registered automatically and data was retrieved after four months. The introduction of the tool was assessed by semi-structured interviews with eight heart failure nurses at four months. Data on self-care behaviour was collected using the validated nine item European Heart Failure Self-Care Behaviour Scale (EHFScB-9) at baseline and after four months. Responses to each item ranged from 0-5 with lower scores indicating better self-care behaviour.